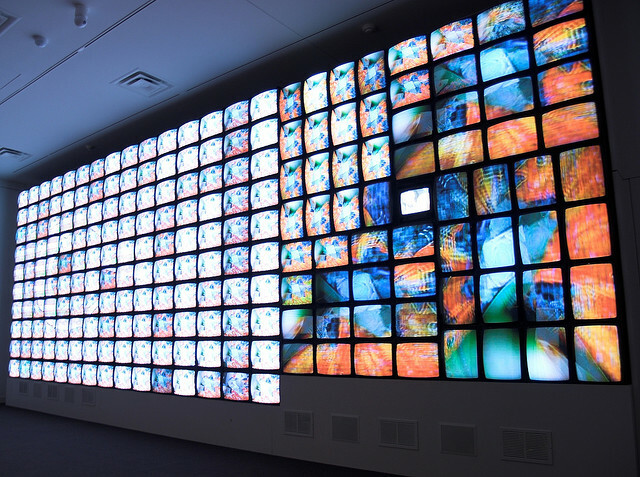 I have long been mesmerized by the frenetic visual displays of Nam June Paik’s video installations, but taking a look at the Smithsonian’s current show, “Nam June Paik, Global Visionary” takes it all to another level. I love seeing retrospectives, and this viewing of his archives, is definitely that – and I do love it! 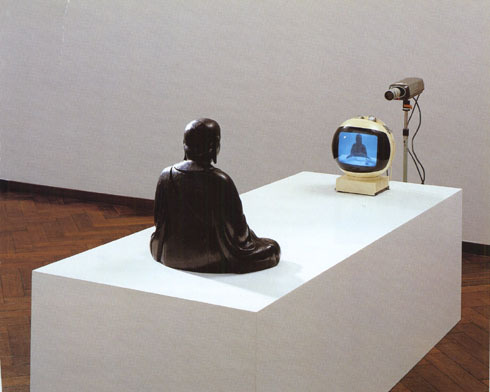 The thing that I have mentioned with other artists is that it is so helpful to see their work in the context of what was going on in the world at the time. What really sets Paik’s work apart is that he changed the context. He coined the term “Super (Electronic) Highway” 40 years ago and his work foresees the availability of information and unlimited access to media through electronics…at a time when people were still using typewriters, telegrams and postage stamps. His work clearly shows an eye to the editorial – synthesizing historical imagery with news media, cultural commentary and futuristic fantasy in a collage of (at the time) groundbreaking technology. 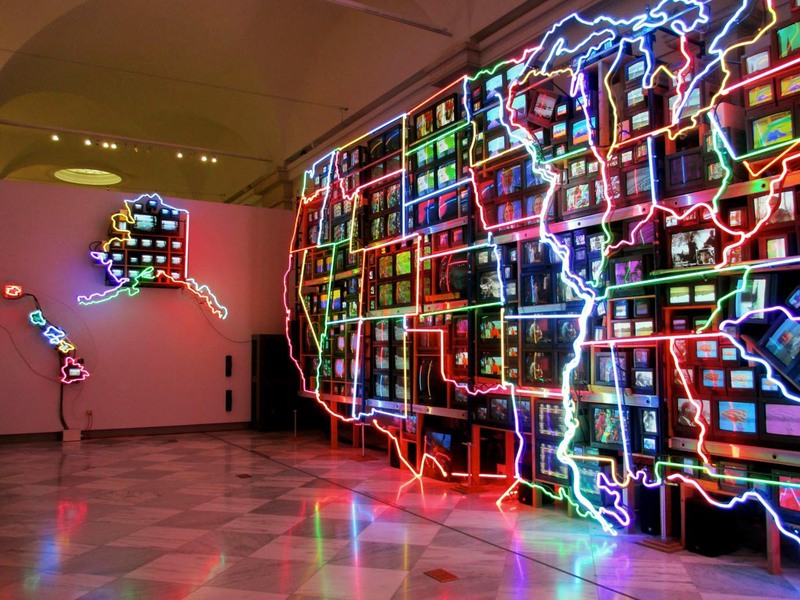 Check out the show – it is at the Smithsonian American Art Museum through August 11, 2013. 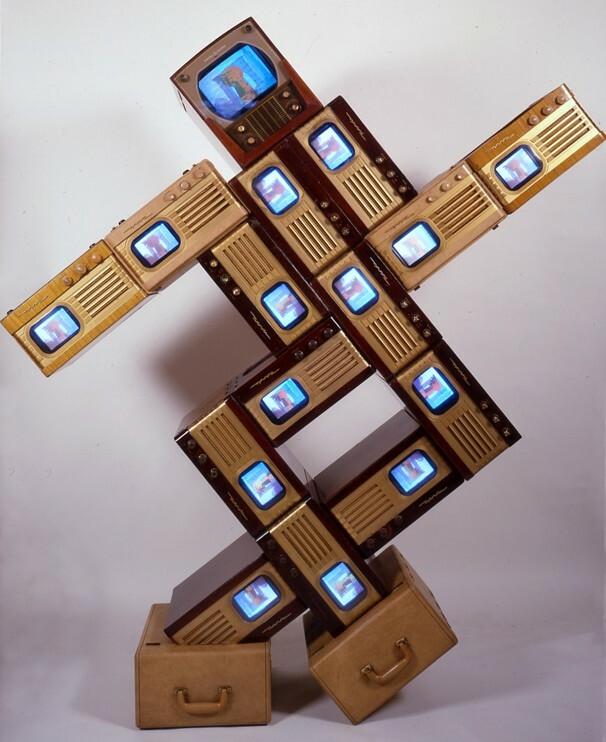 This entry was posted in Art, Art Collecting, Contemporary Art and tagged art, art by Mike McClung, art consulting, Art in Washington, ArtLook, artwork, Contemporary Art, contemprary art, DC art, Denver Art Consultant, Mike McClung art, my art look, my artlook, Nam June Paik by mlmcclung. Bookmark the permalink.